Will post some pictures on how I did it. This is the one I'm doing it for. The ones sold new in Sweden had the low beams turn on as running lights, there is a special wire loom for the Scandinavian Omegas. This German one don't have anything like that and you have to turn on the lights manually every time you go out which is a thing you always forget. It at least beeps if you don't turn them off when you're done driving. Just to be sure, I found this showing the relays in the relay box, but it is for a X25XE and X30XE V6 and mine is a X32XE, might not be much difference but just to be sure. 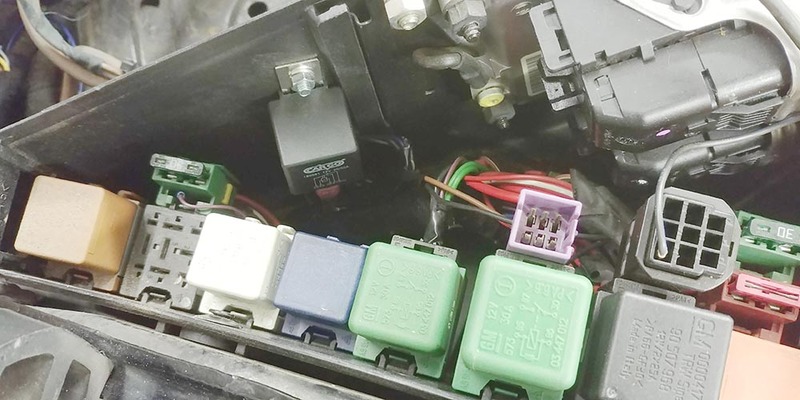 From the above I conclude that K60 should be the green relay to the left, is that correct? Right.. 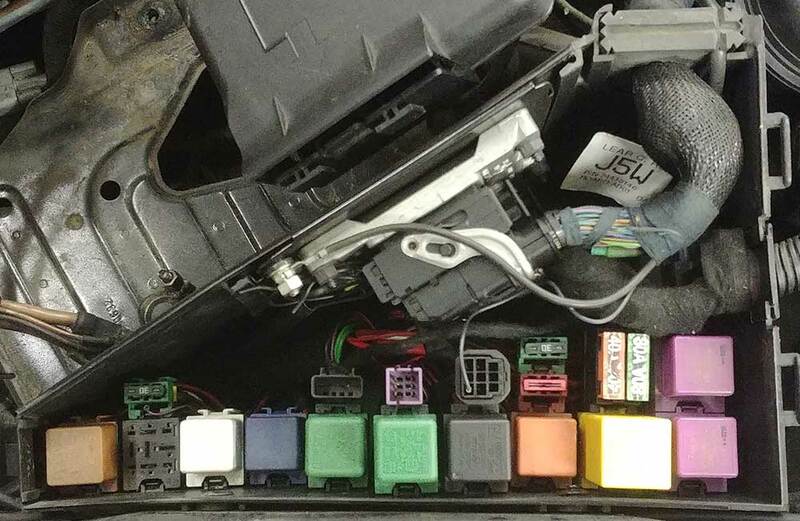 The purple connector in the centre of your picture.. immediately above the right hand green relay. 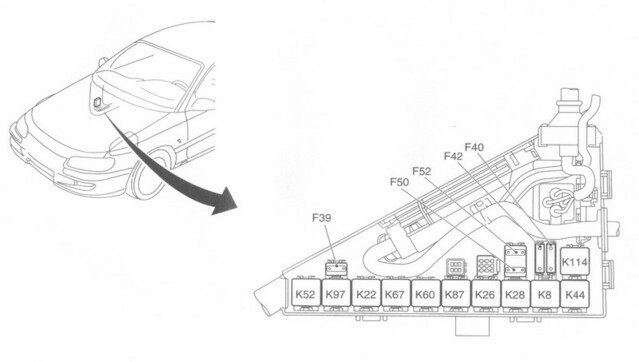 That's the fan system test connector. 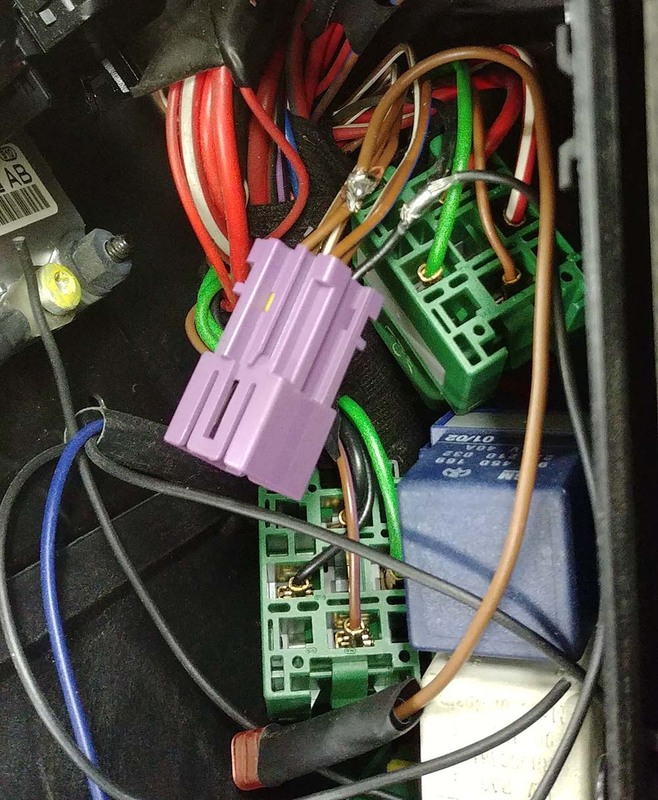 The black wire to pin 3 of that is an ignition switched 12V feed. K60, the air con relay I mentioned as another possible place to tap into the switched feed, is the blue relay to the left of the two green ones. Here is some pictures of how I did it. I picked up the feed to the running lights as per the suggestion from Kevin Wood on the purple/pink connector and the relay needed a ground and I used that as well on this connector. Very tight space to work in and the wires don't have much play in them so the soldering don't look well. The black cable sheet with a blue and two black wires are going to the relay and down to the fog lights with my new cables. 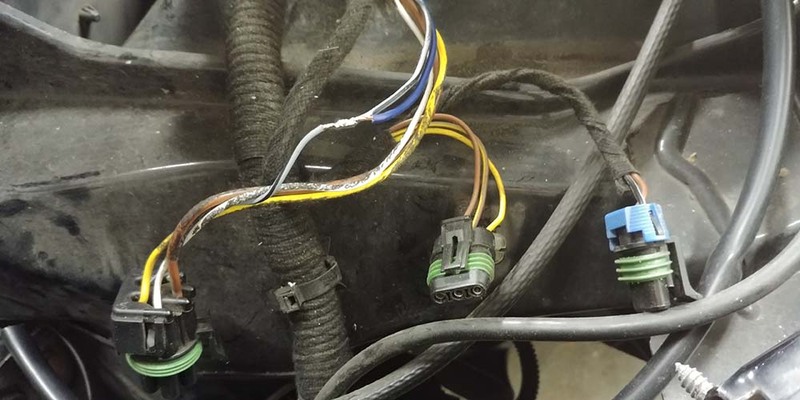 The feed to down to the fog lights was cut and connected back to the relay. Here is how it now looks in the relay box with one more relay.